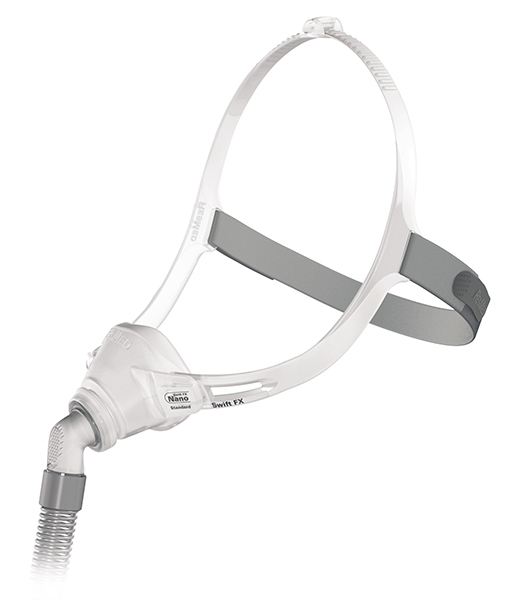 The Swift™ FX Nano nasal mask system builds on the design of the original Swift™ FX nasal pillows system, but gives the CPAP user the option of a traditional nasal mask design with all of the lightweight, unobtrusive benefits of the nasal pillows. 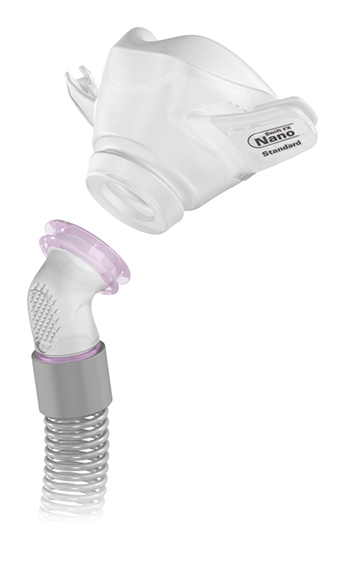 This innovative new nasal mask is small in size and big on comfort. Combining the streamlined design of nasal pillows with the natural breathing comfort of a nasal mask, it features built - in technology to help you sleep comfortably through the night while giving you the freedom to read or watch television. Ball-joint elbow rotates 360 degrees to accommodate various sleeping positions.